Matthew Hatton is hell bent on never getting beaten again admitting: I’m the world’s worst loser. 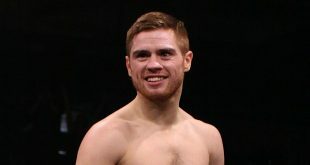 ‘Magic’ Matthew attempts to make a winning return at Blackpool’s Tower Circus on Friday night (Aug 19) when he meets Belarussian Andrei Abramenka for the vacant IBF intercontinental welterweight championship. Matty Askin admits his career would be in danger of collapsing, but for his big hearted parents. The unbeaten Blackpool cruiserweight’s career is entirely funded by his mum and dad, who are backing his bid to become world cruiserweight champion.